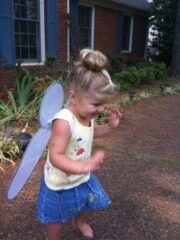 Katie Beth had a great time dressing up as Tinker Bell today for today’s baseball game with pixie dust and all. I had fun doing her hair up. It was her naptime, but she still wanted to go to the game. We loaded her up and she fell asleep on the way to the game. After sleeping through two innings or so, she got up and started going 100% as expected. and she looked super fairy beautiful! 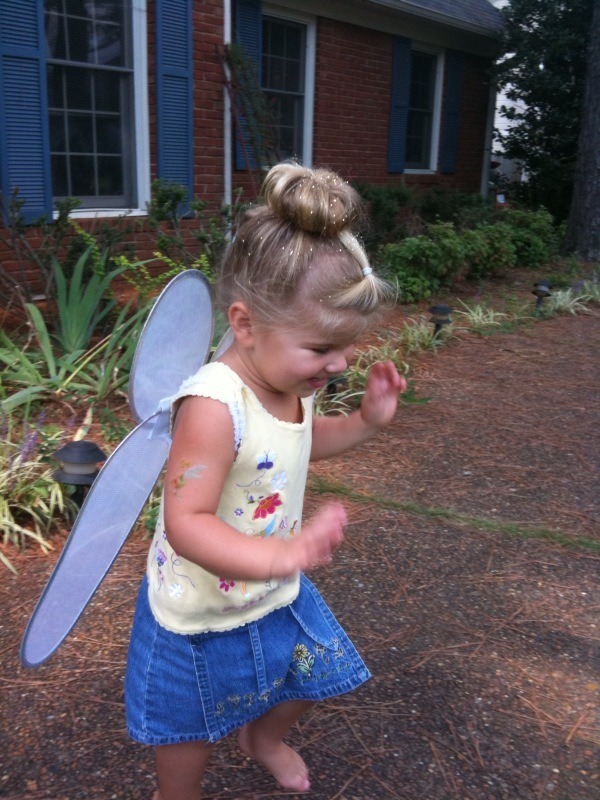 I think she has extra pixie dust at all times! !